Your source for fine furniture, antique furniture and More! Catalog & Ebay Store Link to Hundreds of Products - Browse shield back chairs, dining sets and more. 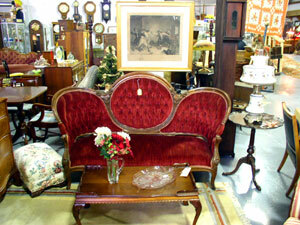 A Real Find Antiques is located just south of Westminster Maryland on Route 140. Stop in today and browse our giant showroom packed with furniture and other great antiques for the home. 2 levels, multiple rooms and 4000 square feet of antiques for you to browse. If you are looking to buy or sell antiques and live in York or Adams County Pennsylvania, Baltimore, Howard (including Columbia & Ellicott City), Frederick MD, or any of the following towns in Carroll County, make sure to contact A Real Find Antiques today.